The Mek does not spawn on the Map. Instead, it must be crafted at a Tek Replicator and deployed. The Mek is one of the Creatures in the Extinction DLC of ARK: Survival Evolved. Meks are deployable Tek robots that can be piloted by survivors. Armed with a giant variant of Tek Rifle (TEK Pistol) and Tek Sword (TEK Saber), they can deal a lot of damage against the target. 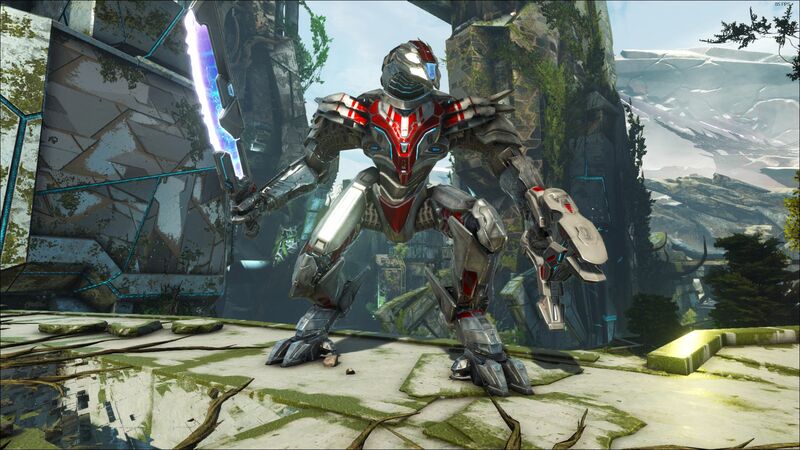 OZ-13NV TEK Saber: Designed as the primary weapon, to better suit the skills of our top pilot candidates. Built more for cuts than stabs. Ideal for attacking in combinations. XBR-M-93R Plasma Pistol: Secondary weapon. Fires in three shot bursts. MS-06BR Boosters: Installed the unit's feet. On activation, they let the unit hover in the air and move rapidly over short distances. 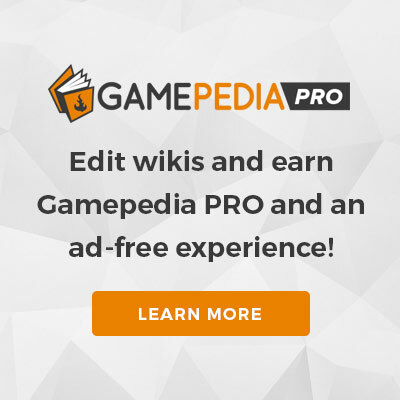 Combine with ranged attacks for maximum effectiveness. Heat Gauge: Pilots should always monitor their unit's heat levels. Overheating will result in your unit being slow, vulnerable and soon after that? Scrap. G-01W Mek Siege Cannon Module: A high yield artillery cannon mounted on the unit's back. To handle the recoil, the unit must temporarily anchor itself to the ground, rendering it imobile while firing. G-02H Mek Rocket Launcher Module: An oversized missile battery that fires in sixteen round salvos, which spread out and then converge on the units target. Especially effective against large, isolated targets. G-01S Mek Deployable Shield Module: Deploys a dome shaped energy barrier that protects the unit from incoming ranged attacks, while boosting its speed. Good for team or melee oriented pilots. Forming the RX-412 MegaMEK requires having RX-103 MEKs active and in close proximity, with an Omega Level threat detected on their sensors. To fuse, the lead RX-103 must have a MegaMek Operational Materialization Interface equipped in its module slot. Once activated, the other three RX-103s must move into position around the lead unit, and fusion will begin. OZ-52XX Vorpal TEK Cleaver: This sword draws power directly from the RX-412 and hones it into a cutting edge that can sheer through a mountain. Swing hard, swing often, and if you get sick of cutting your targets in to, well I guess you could always punch them. I never imagined my masterpiece would be a giant battle mech, but it's undoubtedly my best work. The RX-412 is the most powerful combat vehicle ever created. If there's anything out there that can overpower the RX-412, then frankly it deserves to kill us. 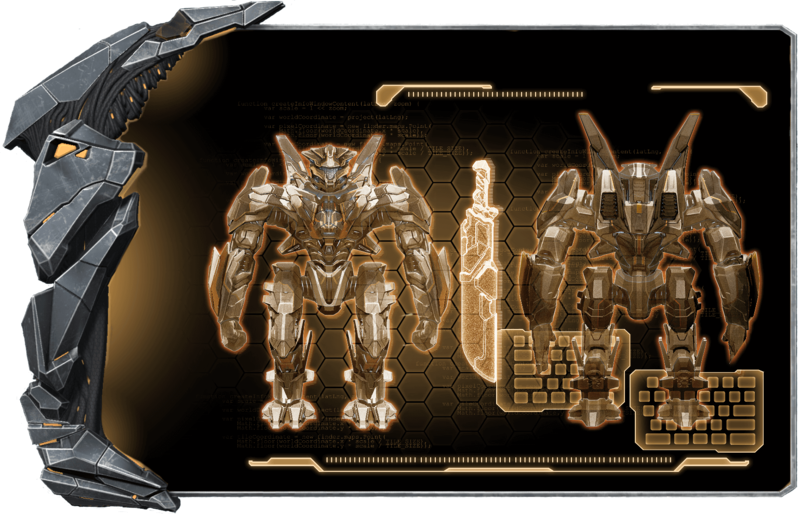 The Mek appears to be a humanoid creature, but fully mechanical. It has a thin spike on the back of its feet. Only the regular Mek can be colored and painted. 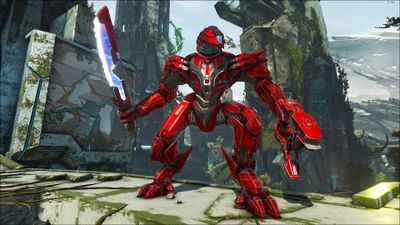 Mega Mek always spawns with the same color scheme and has no color regions, thus making it currently impossible to make alterations to the Mega Mek's natural spawn colors. This section displays the Mek's natural colors and regions. For demonstration, the regions below are colored red over an albino Mek. The colored squares shown underneath each region's description are the colors that the Mek will randomly spawn with to provide an overall range of its natural color scheme. Hover your cursor over a color to display its name and ID. For example, "cheat SetTargetDinoColor 0 6" would color the Mek's "accents" magenta. The Mega Mek is a variant of Mek. The Mega Mek is assembled by using a M.O.M.I. to combine four Meks. The Mega Mek can only be properly used during the Alpha King Titan boss fight. The Mega Mek will not work in the absence of an Alpha King Titan. The Mega Mek will self destruct in roughly 30 seconds if spawned in via console command and entered. However, this can be circumvented if you use the infinitestats command whilst inside the Mega Mek. This will prevent the self destruct from triggering and you can mess around to your heart's content. It may be worth noting that unlike regular Mek, Mega Mek is intended to only use the blade (Vorpal TEK Cleaver) as its left arm does not possess a Tek Cannon unlike the original variant. It also does not possess a slot to place any modules in it either. This section describes how to fight against the Mek. While Meks are only found as survivor's deployment and not in the wild, they do not pose any form of threat so long as they are not piloted. One of the best ways to fight a Mek is with a Mek, but proceed with caution and use a Scout to see how powerful the opposing Mek is. The Mek does regenerate health, but at a very slow rate, leaving it vulnerable if not protected. A Mek with an empty fuel tank will regain health at an even slower rate. Meks requires Element as fuel to do most of their action, excluding running, moving and slashing. The blade still does quite a lot of damage if handed properly. Meks can be immediately "tamed" by deploying an Unassembled Mek nearby. Meks has two unique stats: Fuel and Heat. Each stat has a corresponding icon on the HUD. Fuel allows for the Mek to carry out many of its abilities. As these abilities are performed, the fuel gauge on the HUD will go down, and will eventually fall to 0%. When the Mek's fuel reserves are empty, it will not be able to carry out most of its abilities anymore until refueled. Like all things in the Tek tier, Meks run on Element for fuel. Heat is generated when the Mek perform certain actions, such as flying or firing its pistol. If it reaches max, the Mek's performance will be significantly reduced (i.e: slower movement, reduced damage) until it is cooled down to 0%. While Meks are indeed strong, they cannot level up unlike Enforcers nor do they wear any "saddles". 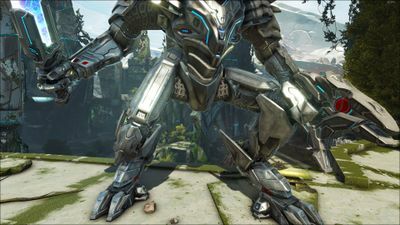 As such it is possible for creatures such as Rex and Giganotosaurus to out-damage, out-health, and out-perform a Mek in combat. 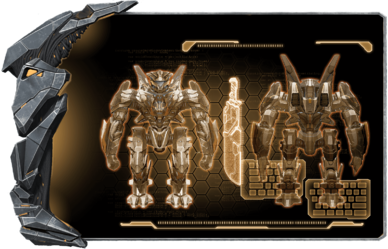 Mek's role can change based on the type of module it is attached. M.R.L.M. - Anti-Swarm Controller: Allows Mek to fire a barrage of rockets at swarms of hostiles. Requires Rocket Pod as ammunition. M.S.C.M. - Target Killer: Allows Mek to fire a single cannon shot at a target. Requires Cannon Shell as ammunition. M.O.M.I. 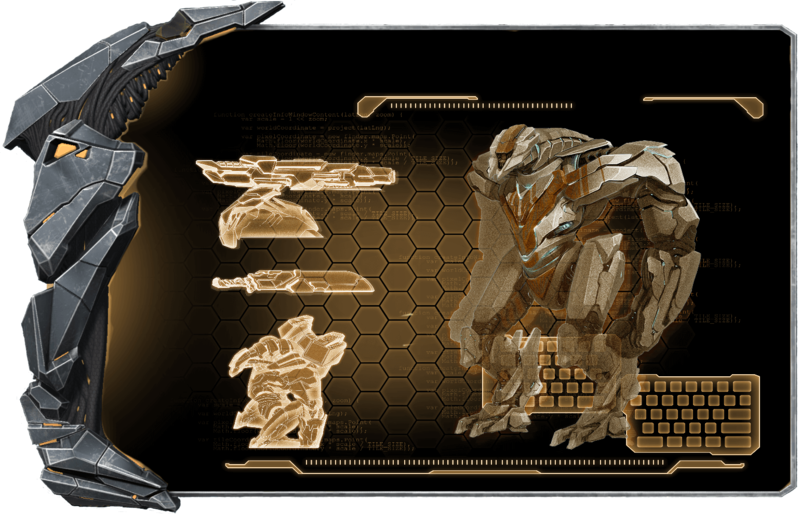 - Mecha Killer: Merging with three other Mek while attaching this to one Mek merges into Mega Mek. This can only be properly used in Alpha King Titan Arena. 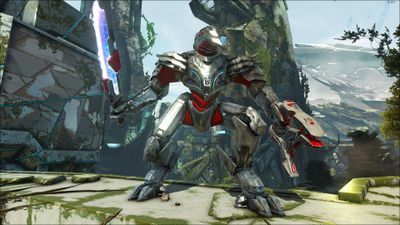 MEKs are capable of dealing out both 9x damage with it's sword and 3x damage with it's pistol to tamed Titans. 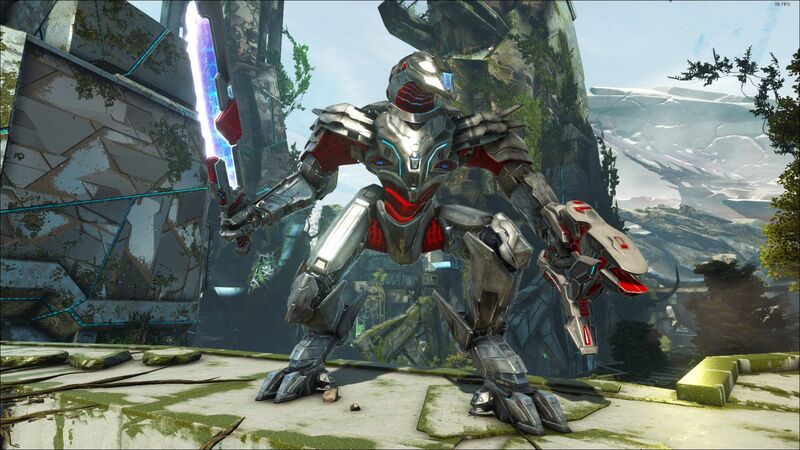 When using multiple MEKs or using higher quality MEKs that can dish out more damage, they become very valuable for defending your base against enemy tamed Titans. Arguably a weaker role for the Mek but one can not set aside the Mek's high weight capacity when you use a quality Mek obtained from red orbital supply drops. If a Gasbags is not available or if you need more firepower at your disposal, this is decent alternative for moving stuff around Extinction. Meks are the fourth "non-sentient" creatures to appear, with the first being the Wooden Raft, the second being the Motorboat, and the third being a Tek ATV. Meks cannot level up like Enforcers, but you can get Unassembled Mek with quality from Orbital Supply Drop and obtain better Meks with a higher level and statistics. Crafting skill can improve the level of a quality blueprint retrieved from the supply drops. Meks can be quickly healed using a Scout by simply flying the Scout up until the Scout touches the Mek. This is much quicker than allowing it to heal over time, which is very slow. Alternatively you can enable auto-repair on the Mek by holding down E and enabling auto-repair. This has a short delay before initiating and will consume element to do the repairs. For some reason you can use a whip to move an unpiloted Mek. Even while unpiloted, Meks will slowly consume fuel. If it reaches 0% the Mek will slowly start to lose health and "starve." To circumvent this problem it is recommended to keep Meks in cryopods if they do not have a module attached or if you will not be able to use it for a while. The Mega Mek as seen in the art for Extinction. The Mega Mek as seen in the launch trailer for Extinction. The Mek as seen in the launch trailer for Extinction.